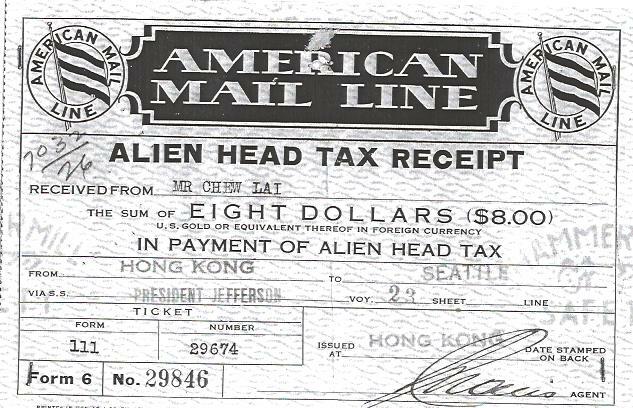 Alien Head Tax Receipt, 1930, Chinese Exclusion Act case files, RG 85, National Archives-Seattle, Chew Lai file, Seattle Box 869, Case 7032/26. 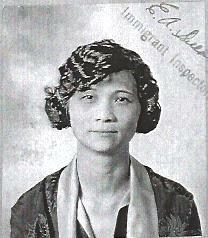 Chew Lai, age 38, arrived in Seattle on SS President Jefferson on 28 June 1930. His destination was New York City. He was charged $8 for the Alien Head Tax. 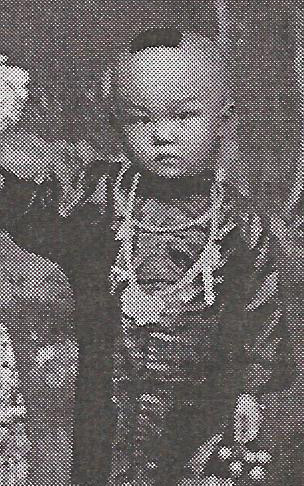 [worth about $109 in 2015] He was originally admitted as the minor son of merchant, Chew Sun, in Seattle on the SS Princess Victoria on 6 September 1909. Chin Sic & Chan Mow photos on affidavit, 1910, Chinese Exclusion Act case files, RG 85, National Archives-Seattle, Chin Sic file, Portland, Box 11, Case 2230. 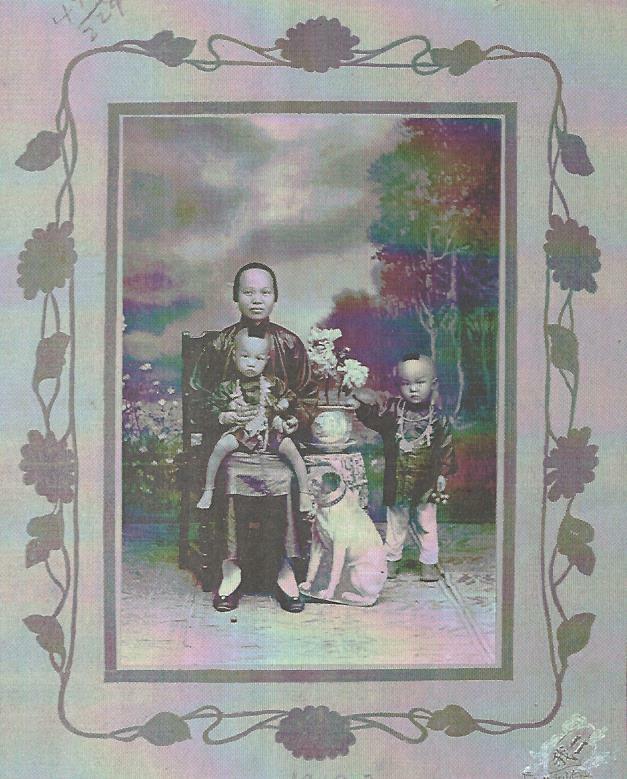 Chan Mow, a Chinese merchant in Portland, Oregon, for about twenty-one years, was requesting that his 19-year old son, Chin Sic, be allowed to come to the United States and join the family business. Chan Mow was a member of the Suey Wo firm. 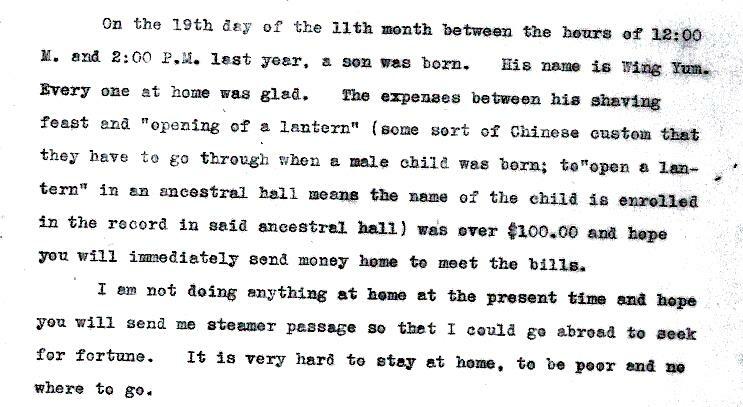 Chin Sic (Yip Sue), Translation of a Chinese letter, 1910, Chinese Exclusion Act case files, RG 85, National Archives-Seattle, Chin Sic file, Portland, Box 11, Case 2230. He signs the letter Yip Sue. 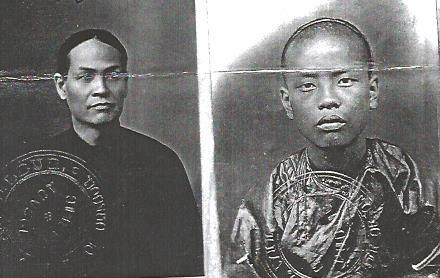 Mrs. Lum Sue (Wong Fong How), photo on Form 432, 1926, Chinese Exclusion Act case files, RG 85, National Archives-Seattle, Mrs. Lum Sue file, Portland, Box 68, Case 5010/411. Mrs. Lum Sue (Wong Fong How), Letter from U.S. Department of Labor to Commissioner of Immigration, Seattle, 1926, Chinese Exclusion Act case files, RG 85, National Archives-Seattle, Mrs. Lum Sue file, Portland, Box 68, Case 5010/411. Mrs. Lum Sue (Wong Fong How) of Astoria, Oregon was born in Redland, California about 1898. 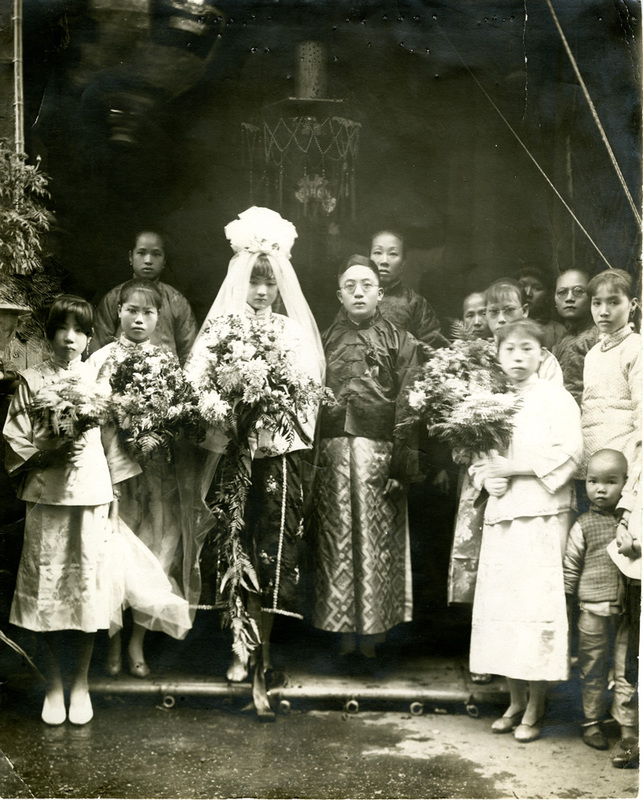 When she married Lum Sue, a Chinese native, on 27 April 1914 in Los Angeles, she lost her American citizenship. In 1926 they were living in Astoria, Oregon with their three children, Anna, 11 years; Flora, 10 years; and John, 8 years. The children were all born in Astoria. Lum Sue was manager of the Lum Quing grocery store.